There are few topics that can get HR managers debating like a discussion on the future of resumes. Some think they’re here to stay. If the system ain’t broke – why fix it? The CVs longevity is proof of its success. Others, desperate for change, call that stagnation. After all, they argue, why hasn’t new technology been utilized to improve processes that are far from ideal? As Bradley Gauthier succinctly puts it, it is absolutely impossible to learn about someone from a single piece of paper. AKA, the seemingly sensible ‘one-step at a time’ approach that utilizes online resumetemplates. After all traditional resume formats typed up in word-processing software have long been the common standard. This type of change could be better if done gradually (for the bulk of candidates and recruiters alike). Using such tools job seekers can start with a structured template, and finish with an impressive looking resume. I see this as a useful tool for jobseekers, but too small a step at addressing current concerns to become a new standard. There have been those who suggest that applicants should be as free as possible and put together their own creative presentation, with limited guidelines. This approach was recently adopted by Union Square Ventures, who have been requesting applicants to submit links representing their web presence and short videos when applying for jobs at the venture capital firm. They say this process “nets better-quality candidates.” UK job seeker Graeme Anthony was looking for a PR job when he put together a compelling video that attracted big audiences. “It shows off my personality in a way a paper CV can’t,” he said. For once-off low-volume applications geared towards a creative market, this can be a lot of fun. But what about everyone else? This may indeed become more common in certain industries, but will need to be a component of an integrated approach for the mainstream. As I mentioned in my last post, given that many enjoy reviewing data visually, we are increasingly being surrounded by infographics. Predictably, ideas have been proposed to replace resumes with graphics. This is one of the more visually pleasing options available. I see value in these for recruiters in being able to easily digest and review information, but surely these should remain the powerful book cover to the rest of the candidates’ information. With the web becoming more social by the day, where better to develop an online presence than using a social network, where users can easily interact with current and potential employers. As Allison Cheston correctly points out “networking is still the number one way people find careers.” Further, these networks now offer features for users to easily apply for job opportunities. 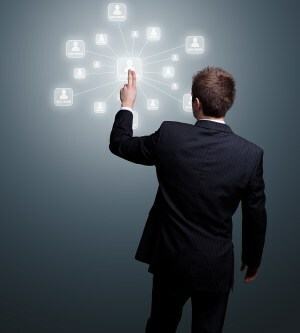 Online social networks have already changed the recruiting process. However I see the use of these as complimentary tools to the more general standard approach. All of these approaches have creative products that are allowing jobseekers to change the way they apply for job opportunities. And sure, each of these has significant value and gaining traction in different industries and job types. But what it takes to become the new “common ticket” is a combination of the above, with the flexibility for each industry to set their own standards within a designated framework. Here, I wanted to take products out of the equation, as this discussion is about something much larger – the themes. Within the next few years, a combination of the above will rapidly increase adoption, and we will start to see the end to the resume as we know it. There are too many issues with the current passport to a new job, and too much innovation available, to prevent its evolution. Be ready for it. Adam Lewis is a tech entrepreneur and CEO of Apploi, a mobile recruiting ecosystem, that encompasses an easy way to apply to jobs from a mobile device, as well as careers news and content @ApploiOberserver.